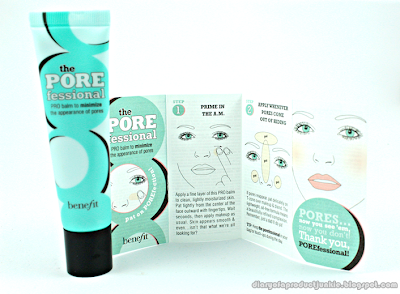 Hello, lovelies~ Today, I am going to review a face primer from Benefit Cosmetics called The POREfessional. Love the pun. I'm sure this brand is already famous in the makeup world and all of you have already heard about it. Let's open the box to see what's inside, shall we? The product is packaged in a light blue squeeze tube with circle patterns on the front. It has a travel size of 15ml and a full size of 22ml. Surprisingly, the black twist off cap is sturdy and quite heavy for a cap. I thought it was going to be a thin plastic. The product came with a small leaflet on how to use the primer. Moving on to ingredients, this is a silicone-based primer, so it will definitely give that soft, smooth, slippery-silicone finish. 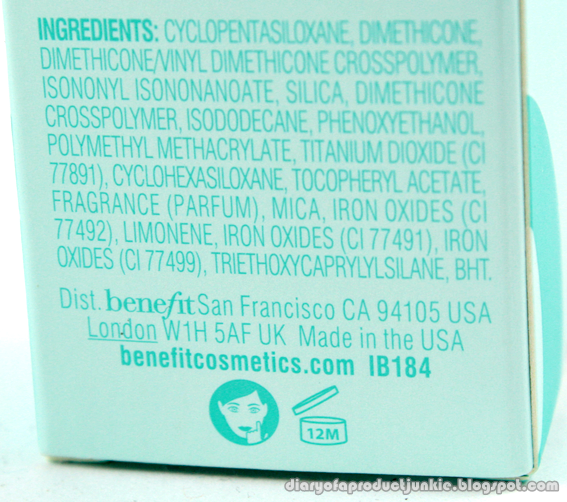 As you can see on the picture above, the primer is loaded with silicones. 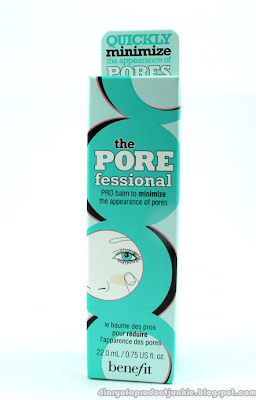 It reminds me a lot of the primer from L'Oreal I've reviewed before. The primer has a slight tint of color, beige to be exact, but once patted on the face, it isn't visible. Maybe the slight beige tint helps to reduce redness or to make life more practical. I can use this when I just need to do chores or short trips to the supermarket and not having to wear makeup, but still want a smooth looking face. Now, to put the product to the test. 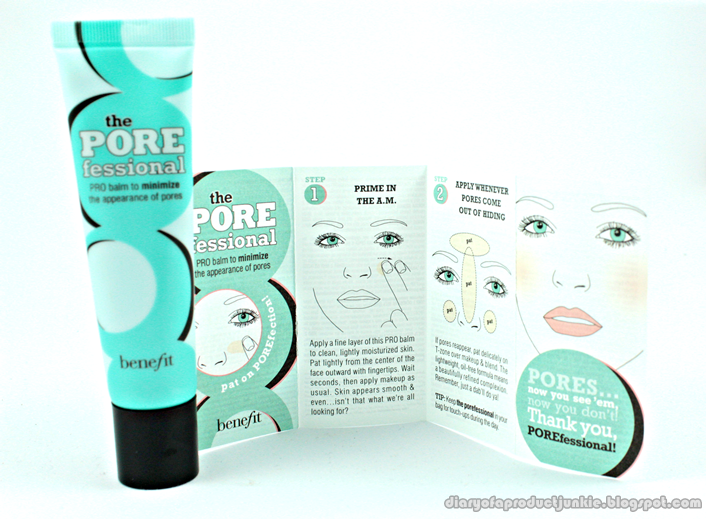 Does it really hide all the pores, making my face look as smooth as a baby's behind? I took a full face photo to show you how it will look like when you're out and about, taking pictures with your friends. As you can see in the picture above, my cheek area closest to my nose is smoother and more even toned after applying the primer. 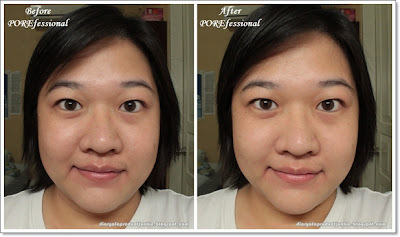 I guess the beige tint helped in reducing appearance of redness on my face. 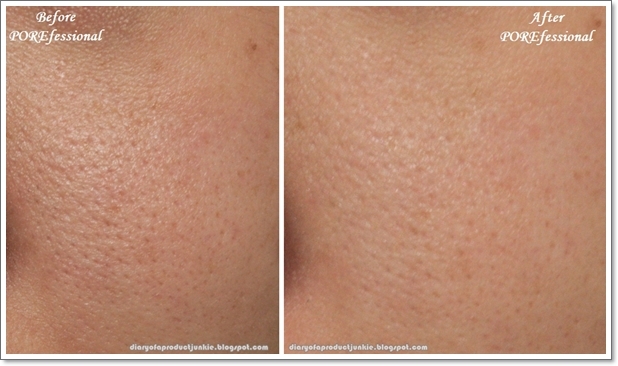 However, when I took closeup photos, my pores still look slightly big, but the smaller size pores are concealed. Someone would have to come real close to my face to notice those slightly concealed pores. I don't bother as much because it looks good in photos (full face). 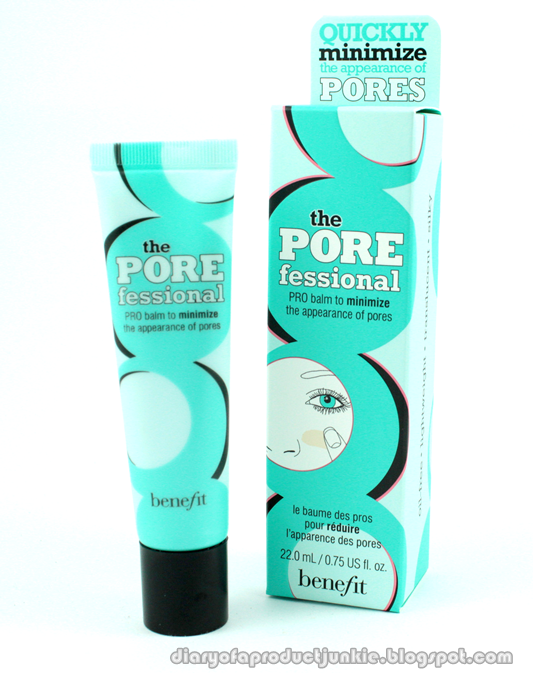 No one is going to take pictures on my pores, anyway. Overall, I would say that this is a good primer in terms of concealing pores and making my face look better in photos. It also reduces (slightly) redness that is noticeable on my cheeks. However, the price is quite steep at SGD 30 something when I can get L'Oreal's Base Magique for half the price. Oil control is average, as my face gets oily after 2-3 hours.